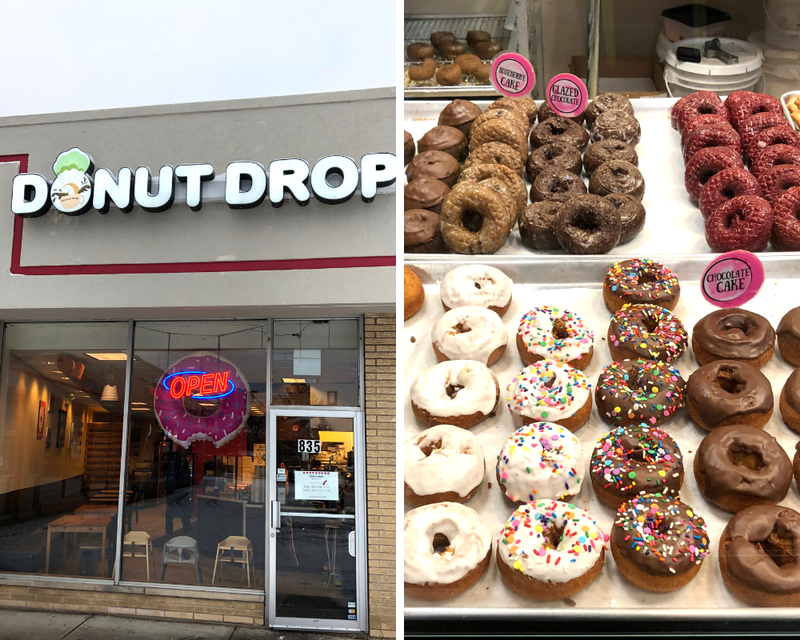 Fresh and fun donuts with a mix of familiar, intriguing and curious flavors are baked locally every day at Donut Drop in Schaumburg. We first learned about Donut Drop after devouring a delicious donut we picked up at Brewpoint in Elmhurst. The barista at Brewpoint informed us that the donuts were baked locally. Fluffy and fresh donuts from a local small business are the perfect accompaniment for a locally roasted coffee. 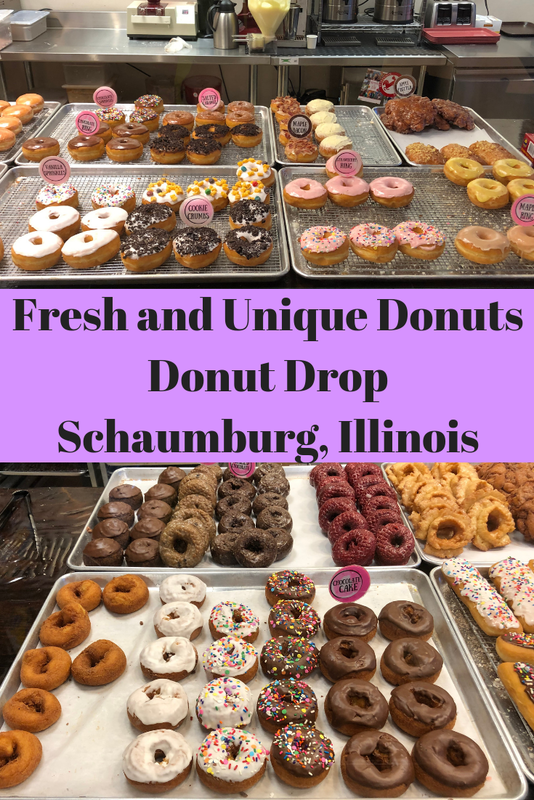 Since we live closer to Schaumburg than Elmhurst, we were thrilled to have the source of these magnificent baked creations so near to our home! Before visiting, we did not realize how many great flavors melded with a bit of frivolity we would find. Of course, there are comfort selections of familiar favorites including old fashioned donuts, chocolate donuts, glazed donuts, jelly donuts and more. However, some of the interesting flavors jumped out like blueberry, red velvet, cookie covered and more. 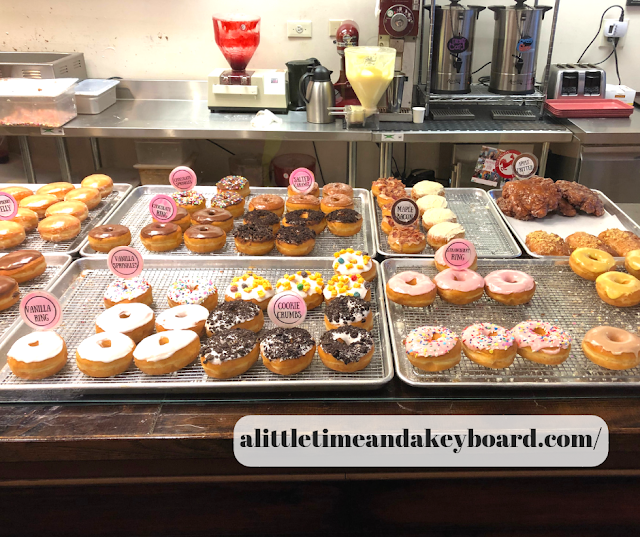 The donuts are well displayed, so you know you are getting something fresh! 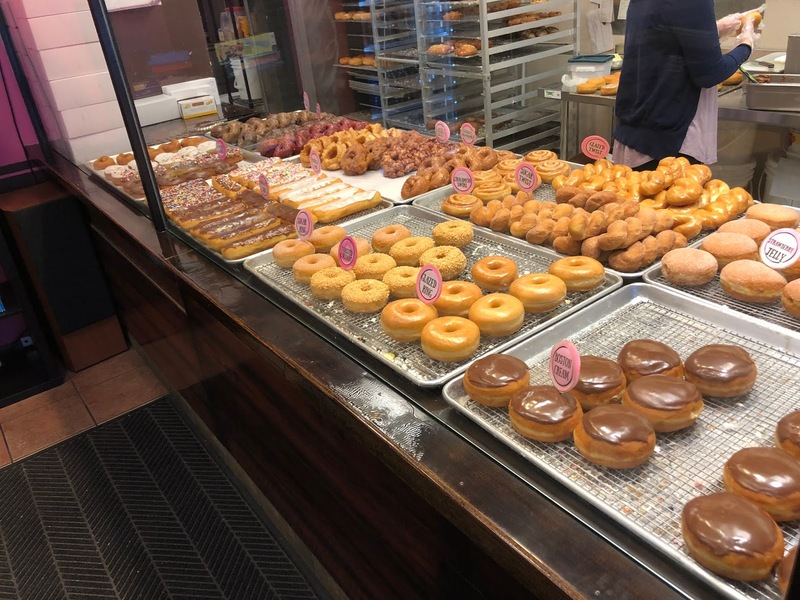 I recommend visiting early to enjoy a wide selection of donuts. Your visit will be an adventure! Intriguing flavors may include Salted Caramel, Fruity Pebbles Covered, Maple Bacon or something super seasonal like Peppermint Bark. They also had a unicorn inspired donut. Apple fritters, a variety of twists, croissants and more -- there is something for everyone! They do have coffee and tea too. Of course, they serve Brewpoint which is roasted in Elmhurst! 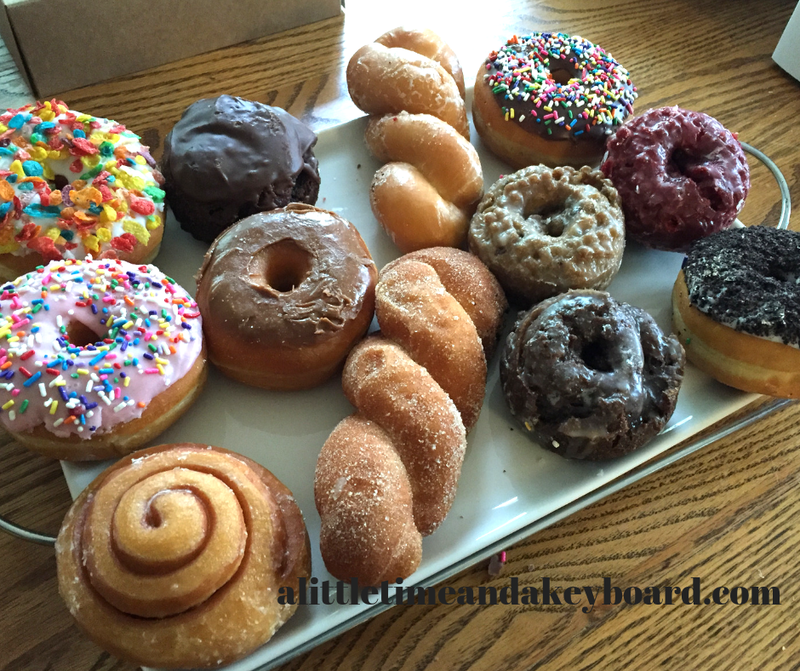 All of the donuts I have tried have been perfectly fluffy with just the flavor I was looking for. Excellent morning treat! If you are looking for a little adventure, check out Donut Drop. Definitely go early and check their schedule. They are closed one Sunday a month. Let me know which donuts you try!